All of the power compact bulbs we have listed here are straight linear pin configuration. These are ideal for many tanks and aquariums not just the Nano Cubes by JBJ. These replacement bulbs are standard size and have great output. Ideal for freshwater or saltwater. Maintain healthy inhabitants in your Nano Cube aquarium system. Compact fluorescent lamps should be replaced every 14-16 months. Replacement of lamp is vital for the health of such photosynthetic organisms as corals, invertebrates and plants. Lamp spectrum and intensity decline as it ages. 6500°K Daylight - A tri-phosphor full spectrum daylight lamp that simulates natural midday tropical sun. 10,000°K Daylight - A crisp, ice blue daylight spectrum. Replicates sunlight at deeper ocean environments with stronger emissions in the blue spectrum. The best lamp for the well being of all photosynthetic corals and invertebrates. Combo (10,000°K/Blue) - 10,000°K daylight and blue actinic lamp built side-by-side. This lamp contains a crisp, ice blue daylight and blue actinic for photosynthetic zooxanthellae algae. 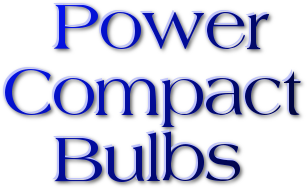 Power compact bulbs and lamps come in a variety of pin types. Most of the aquarium light bulbs we sell come in the straight pin linear fashion meaning they make a straight line.